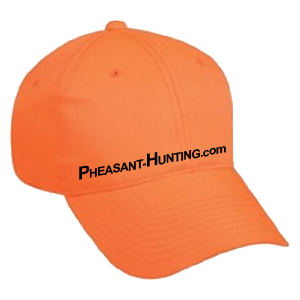 Remember, there are a lot of pheasants, you don't need to shoot at every bird, or even every other bird. You will see lots of birds. You will need to keep your shots up, and away from other hunters or blockers. Keep shots up, wait until you see blue sky, and the pheasant is at least 20 feet off the ground. When you finish a field, take shells out of the guns. Hunting from trees is prohibited. Never shoot bird on the ground, as it is dangerous to dogs, or other hunters. Although the pheasant license includes small game, lodges will not want you to shoot anything on the ground. Many lodge owners will stop the hunt for the day (if you shoot a pheasant, or anything on the ground). Shooting game on the ground (with a shotgun) is often called ground pounding, and is always a bad idea. You should not shoot any birds other that pheasants. Even though hawks are predators to pheasants and pheasant eggs, they can not be shot at. 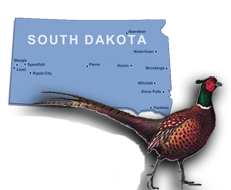 What are the rules on shooting skunks during a pheasant hunt? A skunk is the exception to the rule on shooting on the ground. Skunks carry diseases, fight with other animals, spray the dogs, can be rabid, and are not enjoyable creatures. If you have a clear shot, and there are not any dogs nearby, then shoot the skunk. Remember, if there are any dogs (or obviously other hunters), don't shoot. As you get tired, be sure to keep your gun up. After walking for several hours, you may start to get tired. If that is the case, be sure to take a break. Always keep your gun up. If you are tired and canâ€™t keep your gun up, you can take the shells out and just walk the field, or you can be a spotter. Hunting groups - There is usually only the one group together for several reasons. If different groups are hunting together, there may be complaints about who shot the pheasant, as well as who is walking and who is blocking, etc.